The Illiterate Badger | New comics Monday, Wednesday & Friday: Commentary of the Forest 44: Ambition. 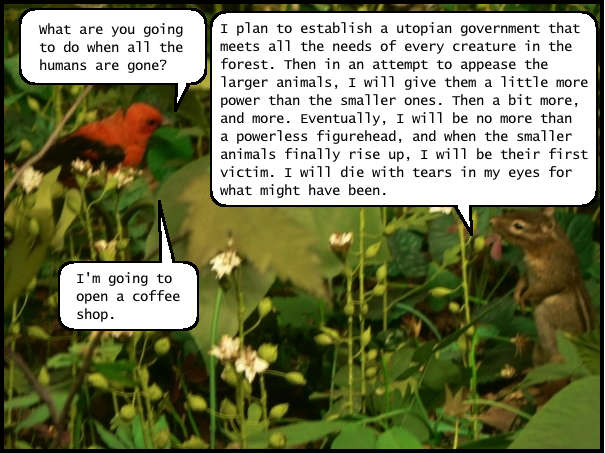 Commentary of the Forest 44: Ambition. Say what you will about Chipmunk's lack of experience as a utopian ruler, at least he's realistic.